Steven E. Toadvine, 72 of Springfield, Ohio went to be with the lord on February 5th, 2019. He was preceded in death by his loving parents, Charles and Edna Toadvine, of Springfield, Ohio; brother, Tom Toadvine of Springfield, Ohio; sisters, Beverly Myers of London, Ohio, Barbra Sly of California; and daughter, Kimberly Lynn Toadvine. Steve was blessed to have such a large and loving family, including two sons, Scott Toadvine and (Brett) of Englewood, Ohio and Jason Toadvine of Springfield, Ohio; sisters, Becky and (John) Cooke of Springfield, Ohio, Betty Kay Hough of Springfield, Ohio, Brenda Leonard of Springfield, Ohio, Bonnie Newcomb of Springfield, Ohio, and Betsey Baker of California; brothers, Dave and (Dottie) Toadvine of Springfield, Ohio, Charlie Toadvine of Urbana, Ohio, Jim and (Donna) Toadvine of California. Steve also had two loving grandchildren, Cody and Bryanna Toadvine of Springfield, Ohio, and many nieces and nephews, who he loved dearly. Steve retired from Ohio Edison as a linesman. Steve enjoyed the outdoors and walking. 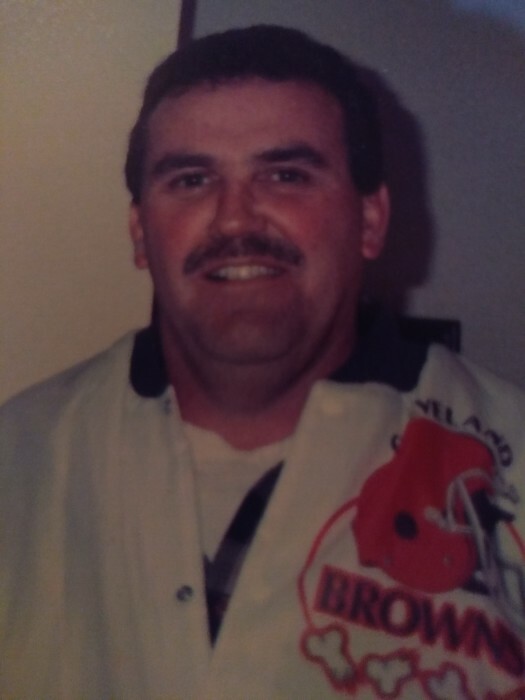 He was a huge Cleveland Browns and Ohio State football fan. Steve went to South High School and excelled in many sports (Basketball and Baseball). Steve will be remembered and missed by all friends and family that loved him. Funeral services will be held at 7:30 p.m. Monday in the Jones-Kenney-Zechman Funeral Home, 1002 E. High St., Springfield, with Pastor Keith Gebhart officiating. Friends may visit with the family from 6-7:30 p.m.